It is a peculiarity of the US litigation system that the Supreme Court decides only those cases which they want. If four out of nine justices decide to hear the case, they issue this so called certiorari and they put the case on their agenda. Less than 1% of the applications are granted. 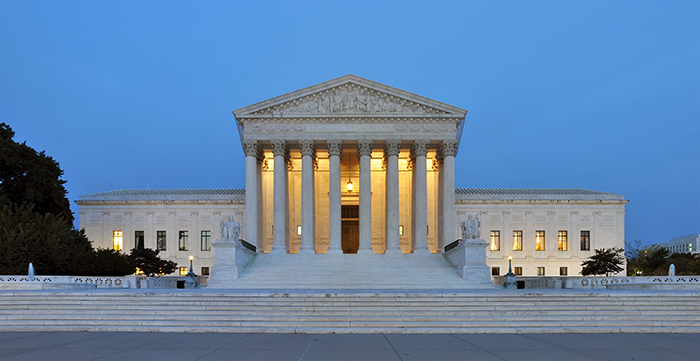 There is one or at most two patent cases per year that end up before the Supreme Court. The last one, Alice was rendered in 2014, in which the “usual” 5:4 reasoning declared that an abstract idea falls out of the subject matter of patentability. 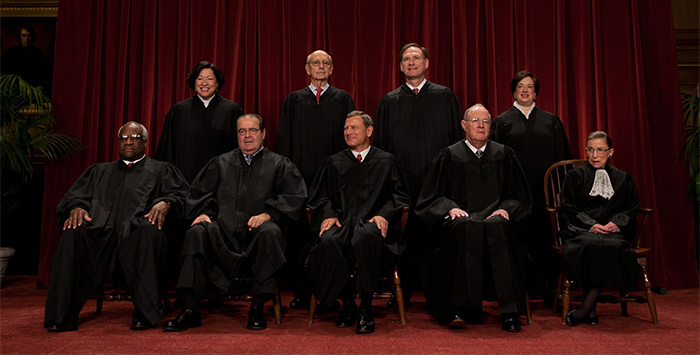 The complete list of patent related cases before the United States Supreme Court is available here. To sum up the complicated situation we can claim that during the examination period both examiners and both the Trial and Appeal Board applies the broadest reasonable interpretation doctrine. This basically means that the pending claims must be “given their broadest reasonable interpretation consistent with the specification” It is widely accepted during the practice of patent offices and courts that claims should not be interpreted solely based on the claim language. But the question “how should the claims be interpreted” have numerous answers. (In Hungary for example claims must be interpreted with regards to the patent description.) The broadest reasonable interpretation (BRI) is one approach, but the problem is that (federal) courts use a different method, the so called Philips standard or the ordinary interpretation. This means the language should be given a meaning that would be understood to a person of ordinary skill in the art in question at the time of the invention. The specific problem in this case related to the so called inter partes review (IPR) institution. This is a procedure that is supposed to be a substitute of litigation between parties. In this procedure before the Patent Trial and Appeal Board the parties both present can reconstruct the claims if the quasi opposing party requests it based on lack of novelty. The America Invents Act did not expressly regulated which claim interpretation method should be applicable in such procedures. Patent and Trial Board decisions and procedure – as shows some elements of judicial review – are not an integral part of the USPTO, just like before the EPO. So in theory both versions are equally justifiable. The use of BRI could be explained by the fact that the PTAB is a part of the patent office, the use of Phillips method could be justified by the fact that the PTAB procedure must resemble a court procedure. These questions raise issues related to the separation of powers and is likely to overturn decade long patent law traditions. It is a settled principle that after a patent is granted, its validity must be presumed and no administrative authority (including the USPTO) have any rights over the status of the patent any more. Patents can be annulled by courts only. It is an interesting question whether an inter partes review before the BTAB can be considered a so called (forbidden) post grant review.